It was approved by the City Council more than a decade ago, but the marine transfer station slated to open on the Upper East Side in 2019 remains at the forefront of the community’s concerns. Assembly Member Rebecca Seawright knows that; last week both the state Senate and the Assembly passed a bill she authored that would require the state’s Department of Health to “conduct a study on the high incidence of asthma in Manhattan and to prepare a remediation plan” for the eventual MTS, according to Seawright’s office. Residents fear that the influx of garbage trucks to their neighborhood will damage the environment, put pedestrians at risk and add to noise levels. “One of the things that I want to push the Department of Health to do is a baseline study of the air quality … in high-risk neighborhoods, examining the disparities in income and race,” Seawright said. “I think this will make a huge difference for the borough of Manhattan, and especially the residents of the Upper East Side.” Her bill mandates that the study be completed within a year from when it is signed by Gov. Andrew Cuomo, and that results be reported within 18 months. A report from the city’s Department of Health released this spring the found that air quality in the city has “improved over the past several decades, but concentrations of multiple air pollutants remain at harmful levels, particularly for seniors, children, and those with pre-existing health conditions.” On the Upper East Side, the study found declining levels of most pollutants, such as fine particulates and sulfur dioxide. Ozone levels, however, increased in the area from 20.8 to 28, the eighth-largest jump of all city neighborhoods measured. “When the Marine Transfer Station opens up there will be many garbage trucks going to and from the site,” Clynes said. “This law will protect all Manhattan residents.” CB8 8 has hosted numerous discussions and conversations on the MTS since before Clynes’ tenure. Maggy Siegel, executive director of the Asphalt Green sports facility located adjacent to the future MTS site, said more than a million people visit the complex every year, many of them children. “It is certainly something that Asphalt Green has worried about,” Siegel said. “We should get as many studies as we can of the area so we have something to compare it to once the MTS is open.” Siegel said the city’s sanitation department has assured her that their trucks are “green,” and that they aren’t worried about a decline in air quality after the transfer station opens. Seawright said she has already gotten thank-you messages from Upper East Siders for passing the bill. 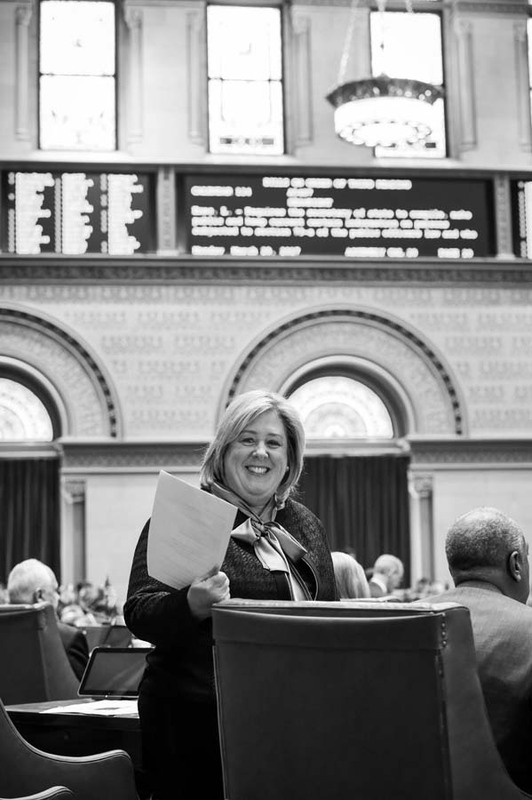 “We just relocated our community office on York Avenue and 79th Street, so constituents have been calling and coming in very excited that this legislation has passed,” she said.